The EU Youth Conference of the Cyprus Presidency held in Nicosia, Cyprus on 11-12-13 of September 2012. The topic of the conference was the “Youth Participation and the Social Inclusion of young people with migrant background”. The conference broadcasted in the European Youth Portal. The Eurodesk Cyprus participated actively in the conference by disseminating the updates in the social networks and by collecting testimonies of youth delegates.Furthermore, the Eurodesk Cyprus prepared a bilingual interactive newsletter dedicated to the EU Youth Conference. Cyprus Presidency: “European Youth Conference”. Interview: Mohamed Yassine Ennaem: A young person with migrant background who lives in Cyprus. Youth delegates and volunteers share their experience. Joint Recommendations of youth delegates and Directors-General for Youth. The bilingual interactive newsletter of the Eurodesk Cyprus provides information about the Cyprus EU Presidency. Council of the European Union. Eurodesk Cyprus and Cyprus Presidency. Cyprus Youth Council: “Becoming active with the Structured Dialogue”. Campaigns “Information Right Now” and “Generation 1992”. The Eurodesk Cyprus promotes the sustainability through an interactive bilingual newsletter. The environment is one of the most important topics in the European agenda and also one of the Millennium Development Goals of the United Nations. Interview: Charalampos Theopemptou, Cyprus Commissioner for the Environment. Good Practices at a local level. Special thanks to Mr Charalambos Theopemtou. Website of the Cyprus Commissioner for the Environment. Blog of the Cyprus Commissioner for the Environment. European Commission Campaign Generation Awake. 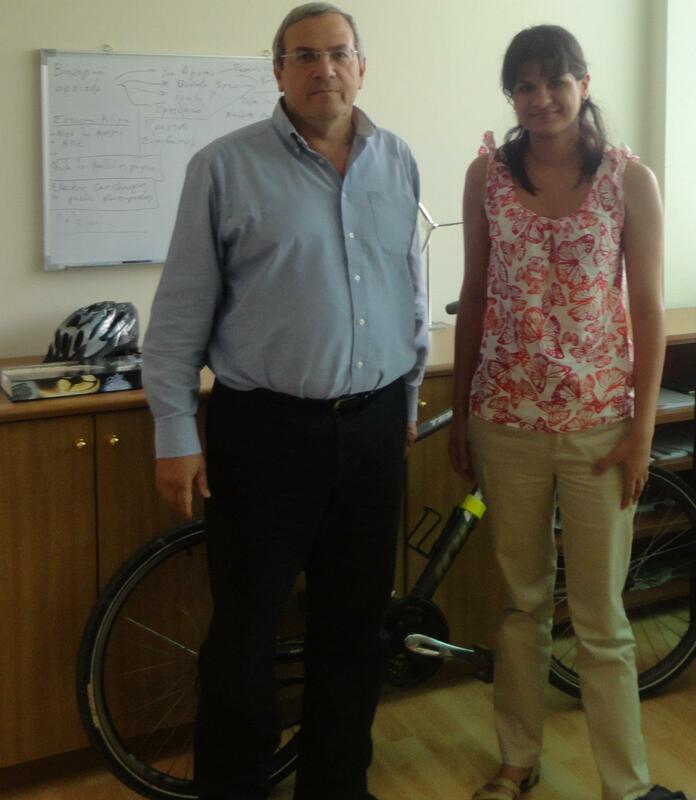 Mariepaz had an interesting conversation with Mr Charalampos Theopemptou, the Cyprus Commissioner for the Environment. The Eurodesk Cyprus presents the structure dialogue process through an interactive newsletter with useful information, videos, images, resources,useful links and interviews. They are also included the Guiding Questions of the Cyprus Presidency. So!! !Get involved and influence the EU Youth Policy. The videos from the workshops from the second phase of the Structured Dialogue cycle on “Youth Participation in Democratic Life in Europe” in Sorø, Denmark on 18-21 March, are available in the European Youth Portal. The theme of the Cyprus presidency is “Participation and Social Inclusion”, regarding the certain topics the Eurodesk Cyprus published a newsletter about the Social Inclusion and a newsletter about the Youth Participation. The interactive bilingual newsletter of the Eurodesk Cyprus for the month January is special dedicated to the social inclusion,one of the eight fields of the EU Youth Strategy. The Newsletter of the Eurodesk Cyprus for the month December is special dedicated to volunteerism since the 2011 was the European Year of Volunteering. The young people may affect the decision-making for policies in the field of youth since the November of 2009 after a decision taken by the Council of the European Union (Council of Ministers). The European Commission is asking the opinion of the youngsters for the youth topics through the structured dialogue since the young people are the ones who are directly affected by the youth policies. The structured dialogue is part of the sub-action of the action 5 ,”Support for European Cooperation in the Youth Field”, of the European programme “Youth in Action”. The main goals are to enhance the participation and the active citizenship of the young people, two branches of the “EU Youth Strategy” of the European Commission. The youngsters become actors in the process of decision-making, as a result, is improved the communication between the young people with the youth organization , national and European Institutions. The process of the structured dialogue has a really important contribution to the development of the European citizenship, since, the young people realize that the situation in a another European Country may affect their one reality. The thematic priorities are set every 18 months by the Council of Ministers.The EU Youth Conferences are organized by each of the 3 Member States holding the Trio Presidency of the Council, firstly in a national level and then in a European level. The country that has the Presidency of the Council of Europe set its one priorities for their Presidency, so, the member-state that has the Presidency sets the topic for the Youth Conference.The opinions of the young people firstly, are collected in a national level through national conferences or through email and then are collected in a European level.Finally, the European Commission takes into account the outcome of the Youth Conferences in the process of decision-making. Participating in an EU Youth Conference is a really very interesting experience for the young people, due to the fact that they have the opportunity to regard many aspects in a specific topic. The structured dialogue also promotes the multicultural aspect of Europe since each EU Youth Conference takes place in the member-state that holds the Presidency. The topic set by the Polish Presidency was “Youth and the World”, the topic of the Danish Presidency is ” Creativity and innovation” and the topic of the Cyprus Presidency is “Participation and social inclusion”. In a European level the structured dialogue is also supported by the Eurodesk and the European Youth Forum. In Cyprus is supported by the National Agency of the programme “Youth in Action” ,the Cyprus Youth Council and the Ministry of Education and Culture .You may also find information through the Eurodesk Cyprus by email at eurodeskcy@eurodesk.eu,FACEBOOK and by phone at +357-22402613. For documents concerning the structured dialogue click HERE. Like Vs Engagement: How to create brand awareness via the social networking platforms?